Fraudulently obtaining payments through Centrelink is a Commonwealth offence and can come with serious penalties. Like most other Commonwealth offences, all Centrelink fraud cases in Australia are prosecuted by the Commonwealth Director of Public Prosecutions (CDPP). Centrelink fraud can cover a range of different activities. 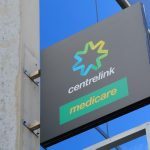 Here are some examples of real-life Centrelink fraud cases that have been investigated and prosecuted by the CDPP in recent times. In this case, the defendant was claiming Newstart allowance and working part-time. She under-declared her income to Centrelink during her fortnightly reporting, by a total of $26,566.31 over a period of time. She was charged with four counts of obtaining a financial advantage by deception and was originally released without conviction on the condition that she was on good behaviour for a two-year period. The CDPP appealed against the sentence, on the grounds that it was too lenient considering the severity of the case. In another recent case, an 80-year-old lady was convicted of fraud after claiming the age pension in two names over a period of 17 years. Over this period of time, the defendant amassed $221,228.47 in fraudulent benefits. The defendant was convicted and sentenced to a term of four years’ imprisonment, with a non-parole period of six months. Due to her age and lack of assets, a reparation order wasn’t made. In another case of claiming benefits the defendant wasn’t entitled to, a Fijian citizen who was unlawfully in Australia was charged with fraud after using a fake Queensland birth certificate to register for a number of benefits. The offender received Newstart Allowance, Disability Support Pension, Abstudy and the Pensioner Education Supplement, amassing a total of $52,706.50 in fraudulent payments over a four-year period. The defendant was also charged with making a false declaration on a passport application form after she had attempted to obtain an Australian passport in a false name. This was not the first time she had been convicted of these types of offences. On two separate previous occasions, she had also entered the country illegally, and obtained fraudulent Centrelink benefits as well as falsifying passport information. On both previous occasions, she had been sentenced to prison and then deported. On this occasion, the defendant pleaded guilty to the recent offences and was sentenced to four-and-a-half years in prison, to be deported immediately on release. She was also ordered to make reparations for the sum of $52,706.50. 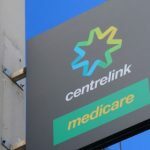 A mother and daughter were both charged with making false statements to Centrelink after the mother falsely claimed partner allowance and later the age pension. Her daughter, who was her nominated representative to Centrelink, gave false information to Centrelink stating that her mother was unemployed even though she was working throughout the entire time. The mother was working under a different name, which both mother and daughter stated was that of an aunt. Even once the overpayment had been raised by Centrelink, the daughter wrote to them to appeal the decision and request a review, continuing to falsely assert that her mother was not working. The total amount of benefits received was $30,924.92. Both women pleaded guilty and received prison sentences, and although they both appealed against their sentences, the appeals were dismissed on the grounds that the sentences were fair and appropriate. The scope of Centrelink offences is extremely broad and they come with a wide range of penalties. These examples are just some of the penalties that those who are guilty of Centrelink fraud can expect to receive. The severity depends on many factors including: the nature of the offence, how long it went on for, the level of planning and deceit, the amount defrauded and personal characteristic of the defendant including their criminal history (if any), whether or not they pleaded guilty, the reasons behind the conduct, whether they were suffering from any mental conditions at the time, their capacity to repay the sum defrauded, any steps towards repayment etc. If you are being investigated for Centrelink fraud or any other Commonwealth offence, it’s important to find a criminal defence lawyer who is experienced in dealing with these cases. Centrelink fraud cases can be complex and penalties can be harsh, but the right lawyer can make a big difference to the outcome. In many cases, a good lawyer will be able to resolve the situation before charges are even pressed – so that you don’t have to go through the stress of court proceedings. 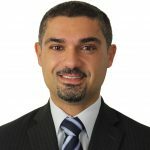 In others, the right lawyer may be able to get your case dropped on the basis that the DPP cannot prove all of the essential ingredients of the offence. Or if you wish to plead guilty, an experienced lawyer may be able to reduce the number of charges or get them downgraded to less-serious charges, then guide you on the right steps to take before the matter reaches court, and finally push for the most lenient penalty in court – including avoiding a criminal conviction altogether through a ‘section 19B’ bond where appropriate.